“There is a lot of confusion about balayage,” says Scrivo. “Although many people believe it is an end result or a trend, it is actually a technique that allows the colorist to create a wide range of looks. The term itself has become trendy within the industry and with consumers, although many do not really understand what it is. Balayage means 'to sweep' or 'sweeping' in French. It’s been around for decades, prior to foils or frosting, brought to New York from France in the 1970s and 1980s, and has been continually refined. It allows one to create the ultimate in color customization. It’s not just painting on lightener – there’s a real science behind it. Whereas aluminum foil is a good conductor of heat, balayage is formulated, applied, and processed very differently. Many believe that Balayage is just free-style highlighting, underestimating its complexity. This is a very technical art-form that must be effectively taught to help one understand all of its many nuances, from what products to use to application, saturation, and processing. "You must use the highest quality lightener at the right consistency and the correct ratio of developer to product. It’s completely different from formulating for foils, as many products that are used with foils are not compatible for hand-painting. Additionally, a wider range of developers can be used with Balayage. I also teach my students how to work with demi-permanents and high-lift tints, as well explaining what I call 'blonding theory' or the science behind the removal of pigment. "Balayage is more specialized, artistic, customizable to the client, and requires different training from foils (that few colorists have, so less competition for you and fewer choices for the client). Also, the product and tools that you must use can be more expensive. Therefore, you can, and should, definitely charge more for it – I recommend a 20 to 30% premium. It’s important to educate your clients on the value of Balayage: not only does it look more beautiful and is less damaging to the hair, but they can go longer between visits because the line of demarcation is not so drastic. The latter point alone can easily make up for the difference in cost to them during the course of a year. So if classic foil highlighting in your salon is $150, try charging between $180 and $200 for Balayage." Want even more information on balayage? Read our full guide and become the ultimate expert. 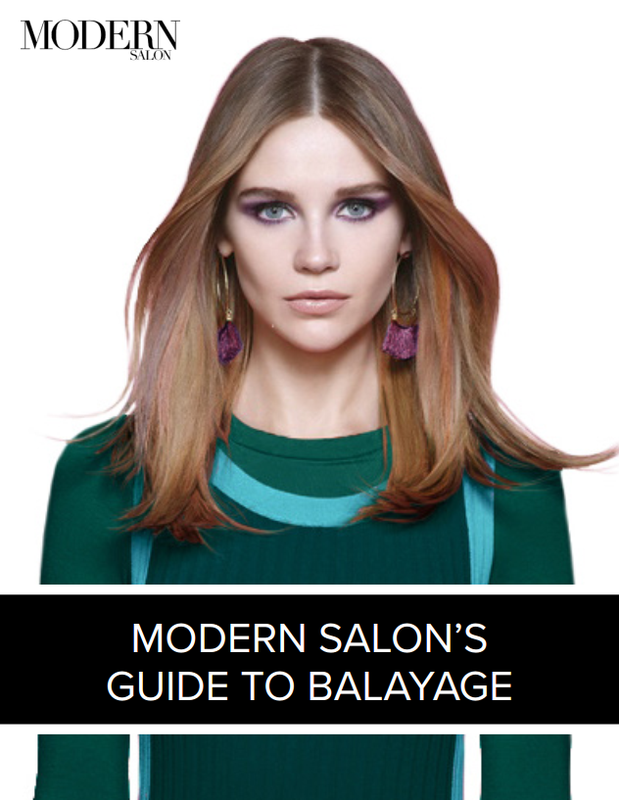 Download our e-book "Modern Salon’s Guide to Balayage"